Above is a large roof mounted solar kit. This is the best way to go with solar. In these systems the home/barn is cooled by putting that HOT roof IN THE SHADE all day. The shading of that hot roof helps lower air conditioning costs. Plus the electricity goes right into your main panel. Sell all your excess power back to the utility when your meter runs backwards.. your utility pays you. Free Quote+Site Evaluation.. Contact Us! Above you see 3 of our 8kW ground mounted solar kits. This is the second best way to go with solar. In these systems the arrays can be positioned at the best direction and angles and a customer can add as many as he likes. Installation is safe and easy with these kits. Your electricity goes right into your main panel. 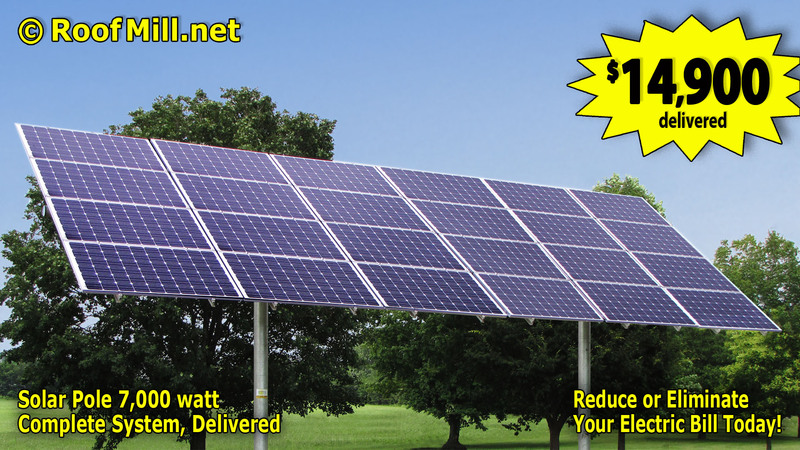 Sell all your excess power back to the utility when your meter runs backwards.. your utility pays you. Above, this versatile 7kW Pole Mounted Solar kit that can be placed almost anywhere on your property and then wired RIGHT INTO YOUR MAIN PANEL of your home. These are great systems and especially if you don’t have a good rooftop area for installation. All your excess power runs your meter backwards.. your utility pays you. 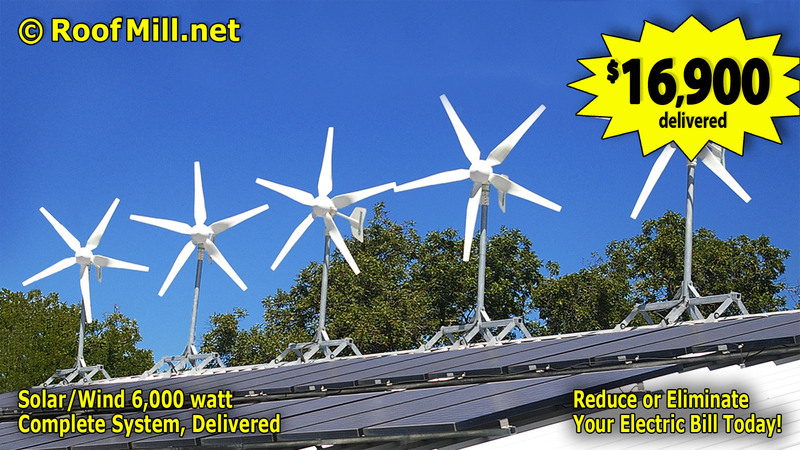 Starting at 6kW we have the RoofMill™ Hybrid Wind and Solar Kits. From $16,900 and up, these systems are scaleable up to any size. 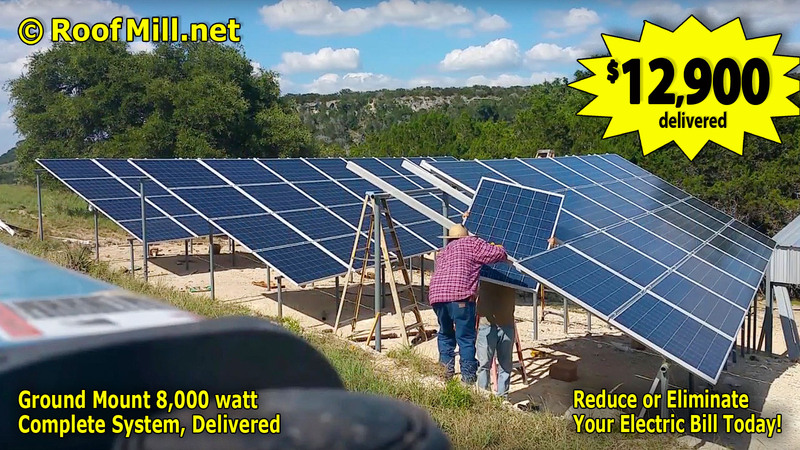 Pictured above is a larger 13kW system in Texas. 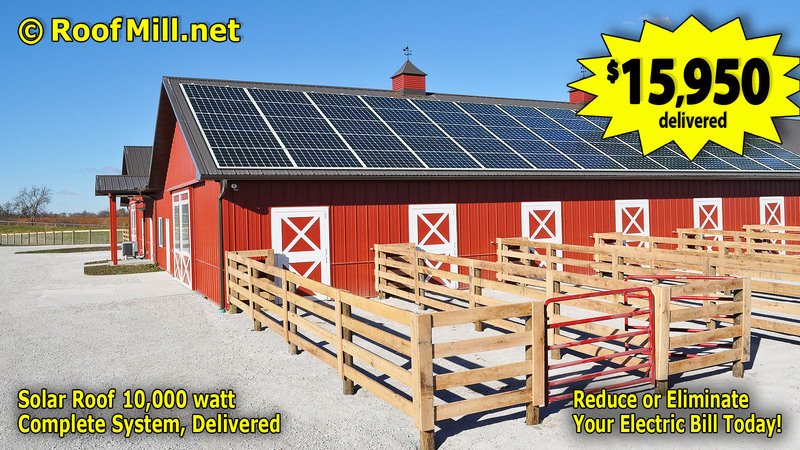 This entire ranch is running on full green emergency power PLUS GRID tie. The customer runs at full comfort with or without a utility company. You will easily sell all your excess power back to the utility when your meter runs backwards.. the utility pays you.